For the past few weeks we've been studying understanding grace. We've seen we always have free access before God through grace. In other words Father God has an open door policy for His beloved. Forgiveness of all our sins comes by His grace. We saw how it's by the blood of Jesus we are forgiven not our confession. Under grace we are now free from all fear and any shame. Today, I'd like to proclaim some to good to be true, but true good news. In this life we may at times sense we are unaccepted or unworthy. Here is the good news, we are accepted in Christ. Beloved, in this grace we have been made accepted. What does it mean to be accepted? This word accepted in the original Greek is a derivative from the word Charis, which is the Greek word for grace. This word means to be endued with special honor. To be made acceptable and highly favored. When we receive this free gift of grace we are endued with honor. In the past we were clothed with rags of shame and self efforts. Our righteousness as filthy rags. Ever see someone try to clean a spill with a dirty rag? All they are doing is spreading the uncleanness around. Before Christ we were unrighteous and unclean in our hearts and minds. After Christ we are cleansed and made whole and given special honor. He gives us His beauty for our ashes. We are also highly favored. We are not just favored, but highly favored. This means we are esteemed and the rights and benefits the Son (Christ Jesus) walks in, we now have available to us. Believe for the favor already bestowed upon us as sons and not servants. The Word of God is clear we are no longer under condemnation. A wonderful truth is now that we are accepted in the beloved we are no longer condemned. Condemnation loves to plague the minds of believers. It tries its best to remind you of past failures and mistakes. It says your future is grim because of your past. It says how can God use you? Condemnation wants you to look upon your sins, weaknesses and failures. Grace points you to Jesus and His faithfulness and His one time sacrifice for all sins. Condemnation says you are disqualified for service. Grace says the finished work qualified you. Now go forth and fulfill the plan and destiny of God for your life. His grace equips you for all you need to follow God's plans for you. Before we received Christ we were guilty before God. The Law made it this way. None of us can keep that standard. Thank God the truth doesn't end here. Let's go on and finish what Paul stated here. Now that we have received His free gift of righteousness we are in perfect right standing before God. Guilt cannot dominate you when you know who you are. Guilt may still try to rise up in your mind. It wants you to focus on failures and says you can't come before God. He doesn't want to commune with you. It tries to make us shrink back before God. Grace says you are righteous and forgiven. You have free access to God. He delights in you. His blood has judged you not guilty. Identify with who you already are and guilt will flee. Rejection is a deep root that plagues many. We all have experienced rejection to some degree or another. A loved one betrayed us. A friend let us down, or spouse left us. We can all say we have lived with rejection. I have some good news though. 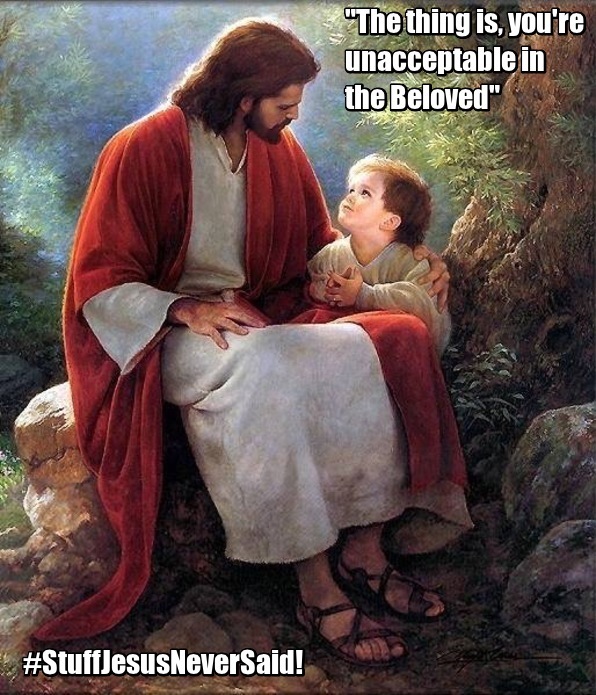 Jesus took our rejection. He suffered the greatest rejection. He bore all the pain and sadness of rejection for us. Under grace we are accepted. We are no longer subject to these feelings of rejection. When someone rejects us, it may hurt our emotions. However, the good news in Christ is we are never rejected. We are accepted. This wonderful truth brings healing to all forms of rejection. Whenever you feel rejected you can go forward in grace understanding that you are always accepted in God. Allow this acceptance to wash over you. Let it cleanse your mind of pain and grief from the root of rejection. He was rejected so you never have to be. People or groups aren't our source of happiness and fulfillment. Jesus is. Rest and rejoice knowing and understanding that under grace, acceptance is always yours.